Coach Supervision is a must for every coach who takes themselves seriously and wants to give their clients the very best they have to offer. It is a great way to identify any blind spots, or areas you can target for improvement. In addition, the ICA Coach Supervision Program also gives you the opportunity to BE a Coach Supervisor in the Supervision Peer Coaching Program. The first of it's kind in the profession. Each series runs for 14 weeks, and includes a combination of tutorial styled classes, group supervision, and peer supervision. Classes are led my a member of ICA's expert faculty, all of who are not only trainers, but also professional coaches with active practices. Group supervision is a facilitator-led discussion providing all participants an opportunity to share and receive direction regarding specific relative issues to deepen their learning from the experience of the trainer and fellow participants. Peer Supervision takes your peer coaching a step further. Instead of holding the role of coach and client, you will partner with a fellow students and hold the roles of coach and supervisor. Unlike peer coaching, you can choose to partner with the one peer for your full 5 hours. 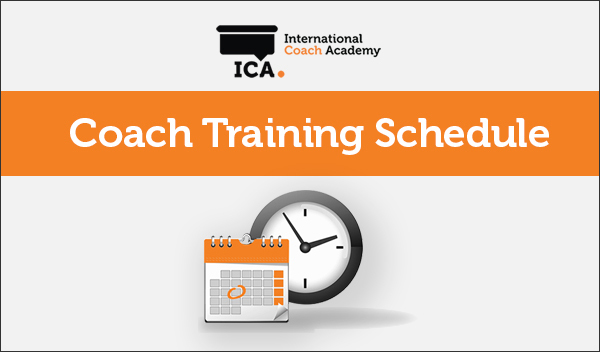 In these sessions you will develop a deeper understanding of your own behaviours and beliefs as a coach. There are many professions around the world who practice Coach Supervision. They all have regular sessions with a more experienced practitioner from their profession. In these sessions they talk through challenges and issues that come up in their daily practice and dig deep into their own identity as a coach. Coaching as a profession is entering maturity and with that comes higher levels of expectation in regards to both training and practice. Many coaching schools have been around for over 15 years now and have well developed programs with rigorous content. Coaches themselves are now much more likely to be both training AND credentialed by the ICF than ever before. It makes sense then that one of the growth areas in the profession is Coach Supervision. It ICA we believe strongly in reflective practice and continuous development. Coach Supervision is an excellent way to achieve both these things. Work through any ethical issues on a confidential basis. Identify and address blind spots and ‘hot spots’ that have the potential to undermine their effectiveness as a coach. My most memorable moment was all of my supervised coaching. I was so anxious about starting it but it ended up being an amazing time spent with amazing coaches. I grew so much over those weeks, and I am so grateful that I had the opportunity. I loved supervised coaching. The group of coaches that I shared the experience with were so talented and I learned so much from them. Coaches who complete this course will be certified for 25 Continuing Coach Education Credits (CCE's).